Explanation: Sometimes the sky itself seems to glow. Usually, this means you are seeing a cloud reflecting sunlight or moonlight. If the glow appears as a faint band of light running across the whole sky, you are probably seeing the combined light from the billions of stars that compose our Milky Way Galaxy. Such a glow is visible rising diagonally up to the right in the above image. If the glow is seen coming up from the horizon just before sunrise or just after sunset, however, you might be seeing something called zodiacal light. 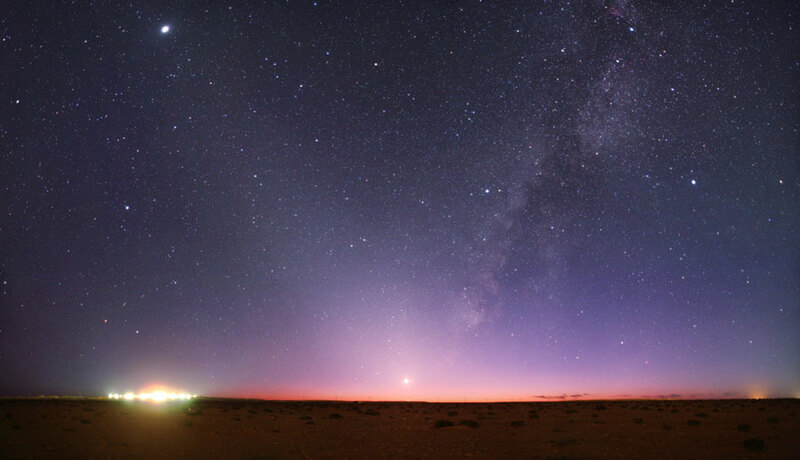 Pictured rising diagonally up to the left in the above image, zodiacal light is just sunlight reflected by tiny dust particles orbiting in our Solar System. Many of these particles were ejected by comets. 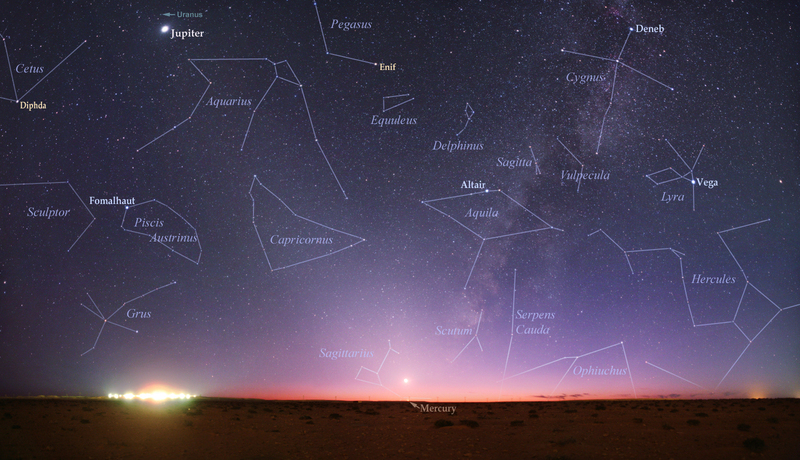 The above image was taken just after sunset earlier this month from Ras Lanuf, Libya.